Dublin Airport’s new €395m Terminal 2 (T2) opened a new gateway between Ireland and the U.S.
ADT was selected to provide a layered security system with data transmitted over the terminal’s IT network. Dublin Airport’s T2 began operations in November 2010. Among the €395m terminal’s many passenger conveniences, is a facility for the U.S. Customs and Border Protection. This provides passenger clearance in Ireland on departing flights to the U.S., opening a major new gateway between the two countries. Terminal operators wanted a comprehensive security system to match this state-of-the-art facility and the 30 million passengers eventually expected to pass through it each year. ADT partnered with SITA, a premier provider of global information and telecommunications solutions to the air transport industries, to deliver one of the world’s most advanced safety and security systems. T2’s digital recording, alarms, building management, telephony and passenger screening all operate on one consolidated network. More than 600 CCTV cameras using H.264 video encoders for IP-based recording are part of one of the world’s most advanced video management systems. Video surveillance is connected via the IT network to a 400 Terabyte (TB) Storage Area Network (SAN). ADT is responsible for the end-to-end delivery of the terminal’s video surveillance systems, as well as continued system support and maintenance. 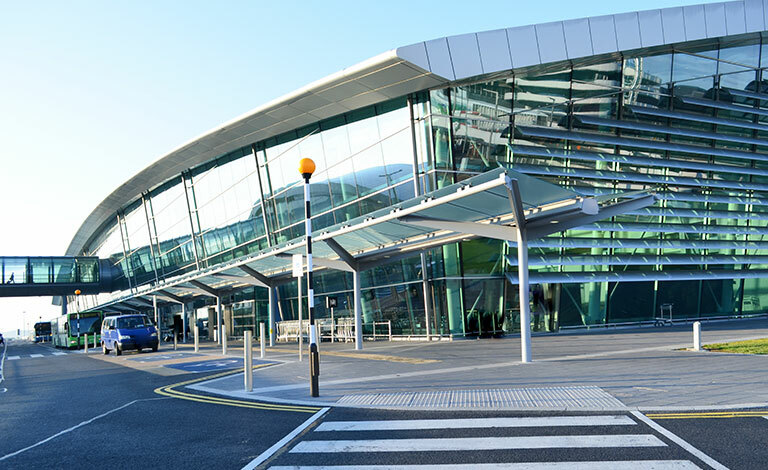 The Dublin Airport is taking advantage of end-to-end integration of security and life safety systems for better control and response to problem situations. ADT’s comprehensive, layered security solution for T2 puts the safety and security of passengers at the forefront – all fitting with the operator’s plan to offer a safe and pleasant experience traveling through the terminal. Improvements have made for better management of the various systems. The IP-based solution provides an interface between analogue and digital systems, which is then integrated with the terminal’s IT network. The CCTV function is integrated with access control, building management, baggage handling and fire alarm systems in a digital control room that provides a consolidated view of these critical systems. Use of the integrated system supports the fluid transition to the U.S. immigration and customs service on arrival, improving the border control process and heightening passenger flow efficiency levels.